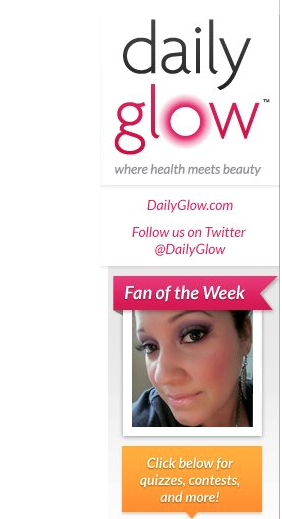 Hello dolls I was recently asked if i would like to be feature on an awesome site called Daily Glow. I was so exited and humbled by this and of course wanted to participate. 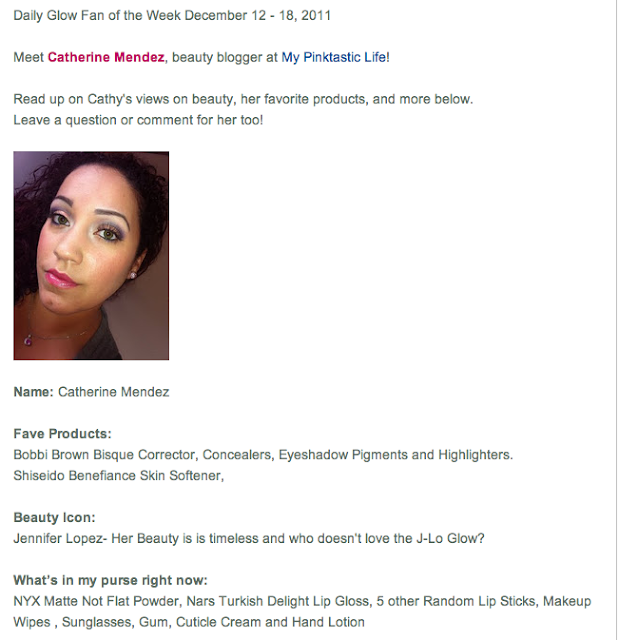 Abby was so sweet in her emails and I was asked to fill out a Q7A to be featured on there site. 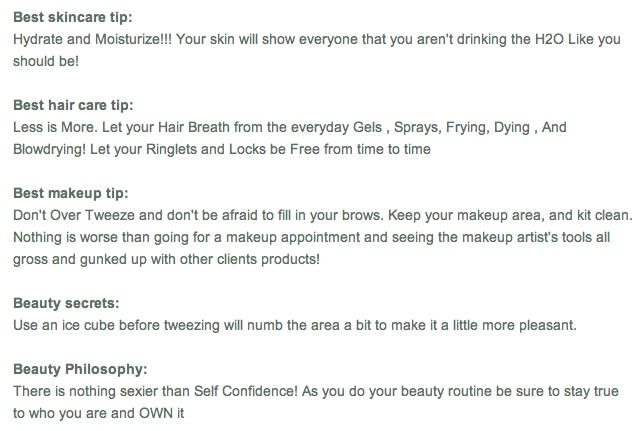 They have a great site for beauty tips, hair care, personal care etc. Check out there Facebook and Twitter . Just wanted to share this awesomeness with you all. Its my Birthday week and what better way to start it than with some recognition from the beauty world. I love you all to pieces!!!! WOW congrats! Very nice! 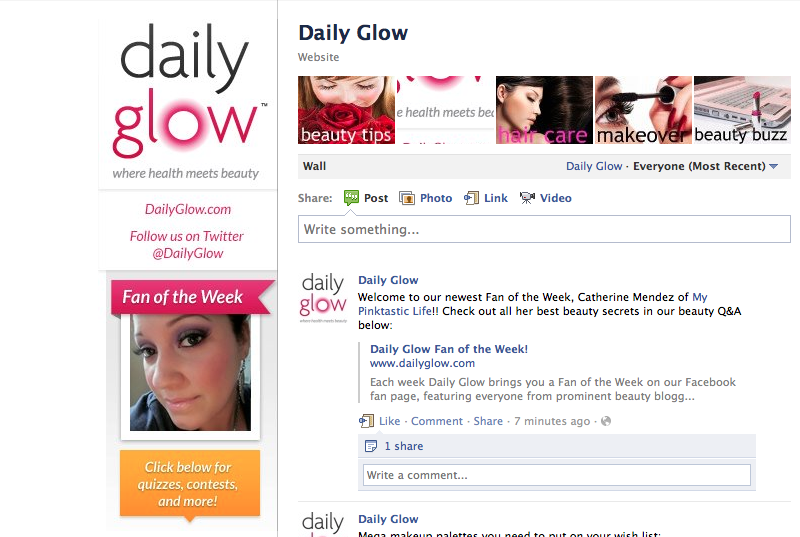 I am now following Daily Glow, this was the first time i have heard of them!